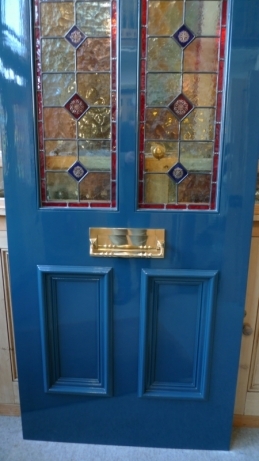 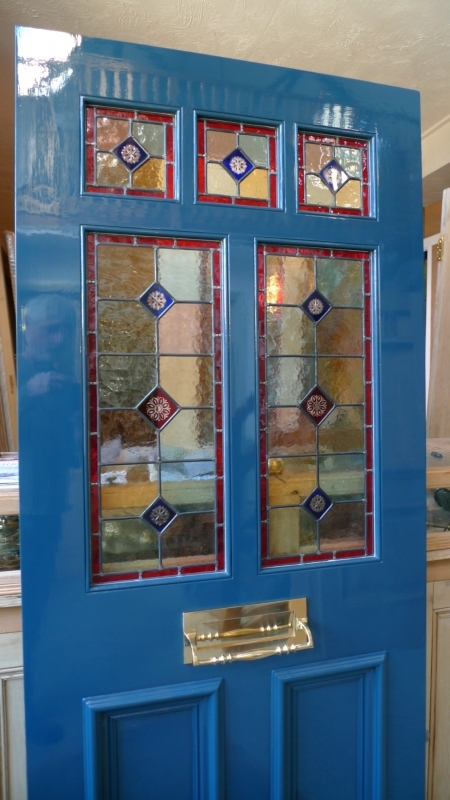 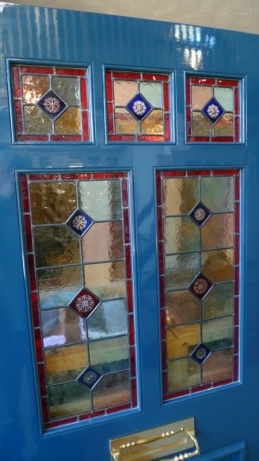 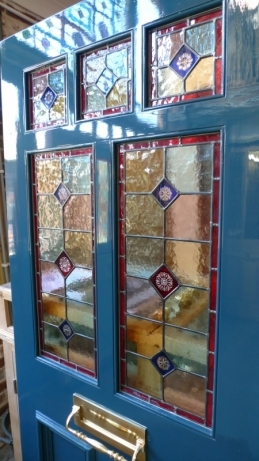 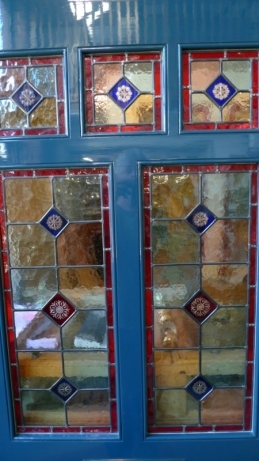 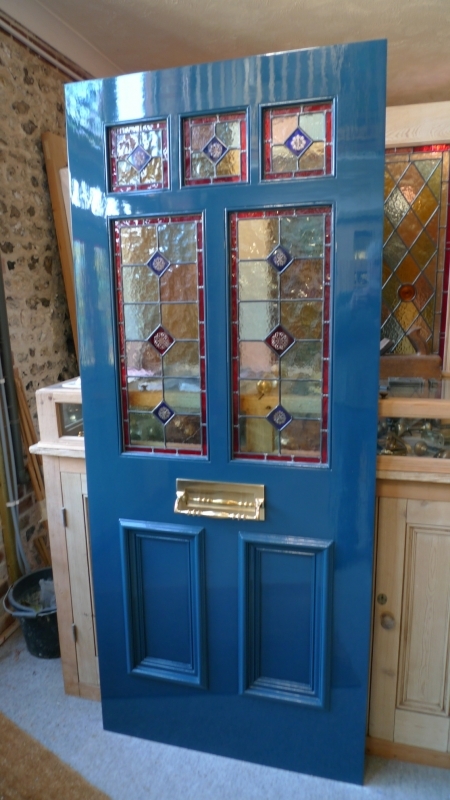 A truly georgous door with stained glass panels including brilliant cut glass chrysanths and florettes. Using pastel shades of blues and pinks and a ruby red border. 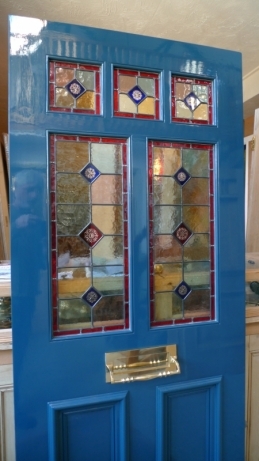 Would look stunning in any period home.